Ward 5 Councillor Chad Collins says the Council needs to commit to multi-year budget planning to better allocate the City budget. 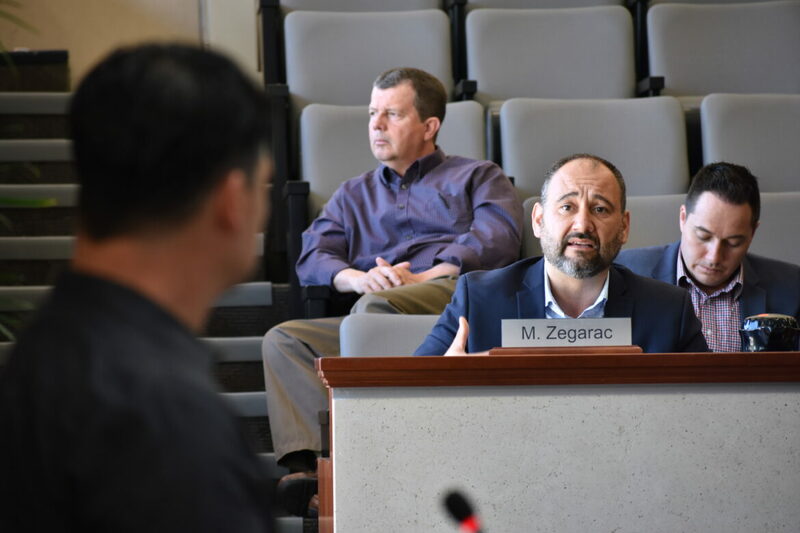 During today’s Multi-Year Budget Planning Sub-Committee Collins spoke of concerns that some Councillors are able to maneuver projects in their ward ahead of the queue during the annual budget process; leaving higher priority projects in other parts of the City without funding. Collins states up to 40% of the ten-year capital plan can be changed during a single budget process. Collins says multi-year budget planning and plans will decrease political maneuvering and save the City money in the longer term. The Multi-Year Budgeting Committee set a goal of creating a budget outline for the next term of Council to be presented next spring. One ‘t’ in budgeting, JC.